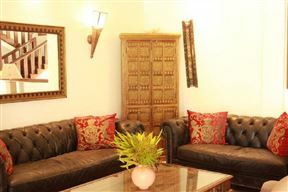 Villa Holly & Villa Dora, Diani Beach Best Price Promise! Apple Mango Apartments offers a self-catering holiday destination for families, couples and business travellers visiting Diani Beach. There are eight well equipped apartments all with beautiful views of the area and within easy reach of shops and restaurant. 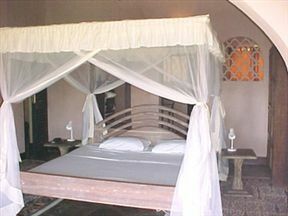 Diani Beach Villas Cottages, Diani Beach Best Price Promise! Diani Beachalets is located on Diani Beach Road next to a 3 km stretch of white sandy beach perfect for snorkelling and long walks at sunset. The chalets offer self-catering accommodation ideal for families looking to be close to the beach but not stay in an expensive resort or Hotel. 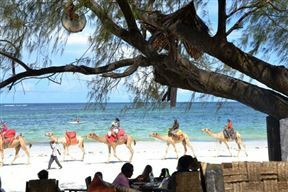 Diani Bay Resort, Diani Beach Best Price Promise! During our travels, we fell head over heels in love with the magical country of Kenya, and decided to create this charming hotel of 14 exquisitely designed rooms. 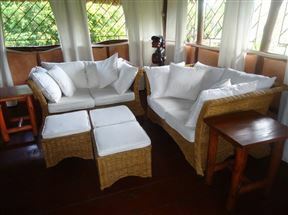 Swahili House, Tiwi Beach Best Price Promise! Perched atop a cliff overlooking the stunning Tiwi beach and set in 20 acres of indigenous bush blended with vibrantly designed gardens is the unique and stylish Swahili House. The units are available individually or as rented as a whole. Enticing self-catering family villa is situated close to the beach in Diani, ideal for a soothing and relaxing break-away from the everyday routine. Hillpark Hotel - Tiwi beach, Tiwi Beach Best Price Promise! 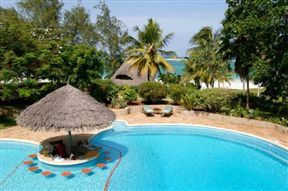 Hillpark Hotel - Tiwi beach is located 20 kilometres from Mombasa town, on a clean and unspoilt Tiwi Beach. 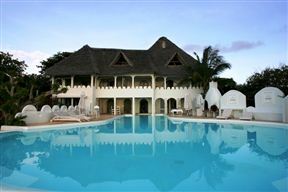 Flamboyant, Diani Beach Best Price Promise! 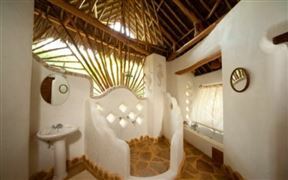 Flamboyant is a family home that sits on the beautiful beach of Diani, approximately 30 km south of Mombasa on the Kenyan Coast. Lulled by the transparent and warm waters of the Indian Ocean, Flamboyant is the perfect retreat for exotic and romantic escapism. 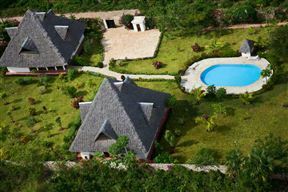 Msambweni Beach House & Private Villas are located in a quiet, unique setting on a stretch of completely unspoilt beach surrounded by 28 acres of natural land. The property has 700 feet of private beach along a four mile stretch of the coastline.